Why is my Store skipping Invoice Numbers? 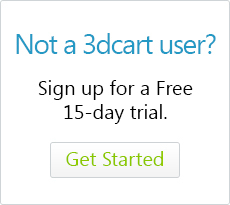 3dcart will assign invoice numbers to any customer carts that reach Checkout Step 4. If the customer gets to step 3, enters their billing information, chooses a payment method and attempts to pay by clicking the "checkout" button, they are taken to step four and an invoice number will be created. This is the final step in the checkout process. However, if there is a problem with the payment gateway, or if the customer's billing information is declined, the store will still generate an invoice number and the order will stay in the Orders =>Not Completed section. Customers can then return to the site on their own at a later date and finish their incomplete order. Therefore, when viewing your New orders, you may sometimes notice the invoice numbers are out of sequence. You can view these "lost" invoice numbers by logging into your 3dcart Online Store Manager and going to "Orders ->Manage Orders" on the left navigation, then choosing the "Not Completed" tab along the top. From there, you can try to determine what happened to the order and perhaps contact the shopper to help them complete the sale.